The aim of this project is to foster true knowledge, spur reliable expertise and induce positive change on the issue of the survival, protection and promotion of Indigenous Peoples over the world. 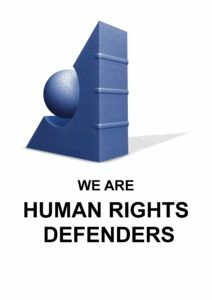 In the frame of its West Papua Project (GHR WPP), Geneva for Human Rights is deeply concerned by the situation in regards of the violations by states and non-sates actors of the basic and fundamental human rights of Indigenous Peoples. The goal of the West Papua Project and Indigenous Peoples Project is to focus on International Human Rights Law (IHRL), International Investment Law (IIL), International Humanitarian Law (IHL), International Penal and Civil Law (ICPL), Human Rights Law and International Trade Law (ITL) . Complementary to the scope of the rules, customs and regulations affecting the rights of indigenous peoples, Geneva for Human Rights will also as cover all subjects and matters related to the survival of the indigenous peoples and communities in the world. Stay tuned, mind the idea, you are part of this !